The Tweaker 40 is a two channel, 40-watt amp, driven by two premium 6L6 power tubes and three hand selected 12AX7 preamp tubes. 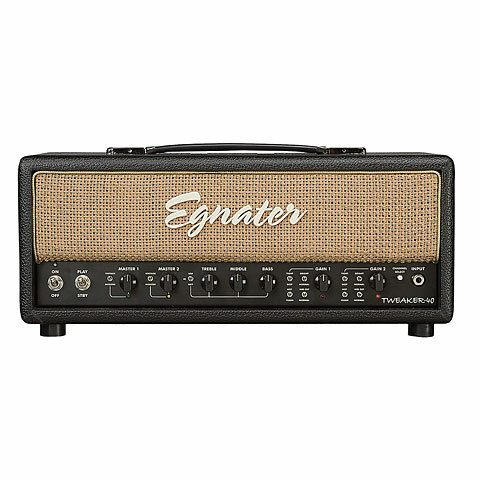 Packed with the features gigging musicians have been asking for, the Tweaker 40 expands Egnater’s award-winning Tweaker Series. The eleven on board Tweaker switches provide unparalleled flexibility for shaping your tone. A rugged 2-button footswitch is included. Available as a head or 1x12” combo. Are you a Tweaker? Hidden inside the Egnater Tweaker is a vast array of tones not usually found in amps this compact. 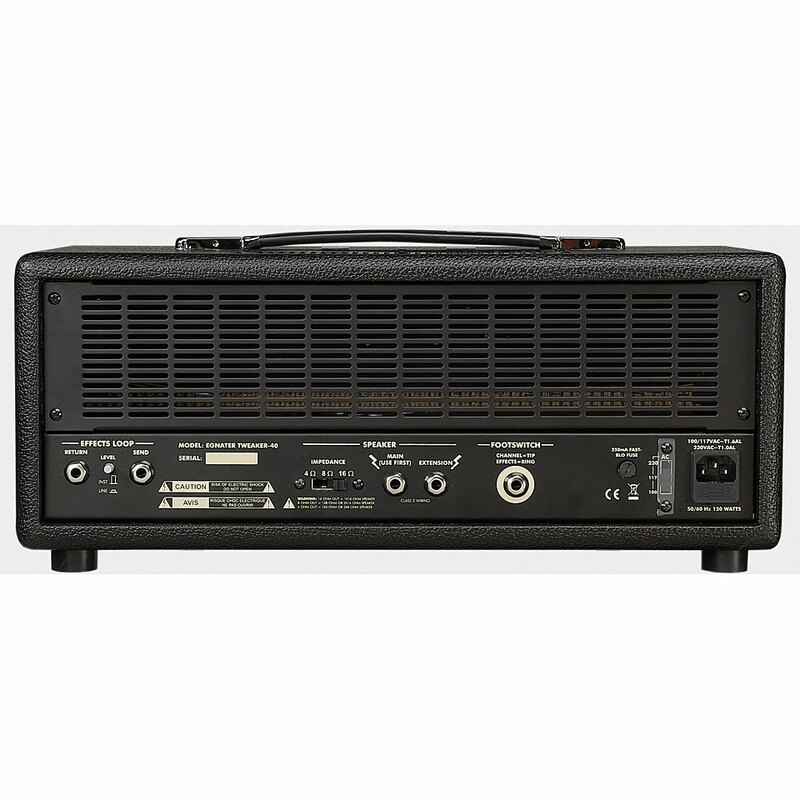 Each of the five toggle switches on the front change the character of the amp. The TIGHT and BRIGHT switches shape the low and high end from soft and smooth to punchy and aggressive. The GAIN switch goes from sparkly clean to an all out high-gain assault. The EQ switch lets you select from pristine American to classic Brit and even the elusive VX AC sound. The CLASSIC/MODERN voicing switch allows you to select either soft and smooth or hard and edgy power tube tone. It’s all in there to satisfy the ultimate “Tweaker”. Preis, Leistung, Sound, alles stimmig!!! · Alle Artikel der Marke Egnater anzeigen.